The latest model in the Opel stable is now in Malta as Motors Inc. officially launched the All-New Grandland X on Friday August 3. The much-awaited SUV introduces forward-looking aesthetics and engineering with exceptional running costs. The Opel Grandland X breaks from the crossover breed by presenting an extraordinarily well equipped standard specification with great interior space design and top safety features. Opel cut no corners developing a compact SUV for all the family, enjoying a sporty, secure, and solid ride to both driver and passengers. Distinctively German in its construction, the car exterior is an athletic, rugged design with stark lines and flowing slopes in the bodywork. 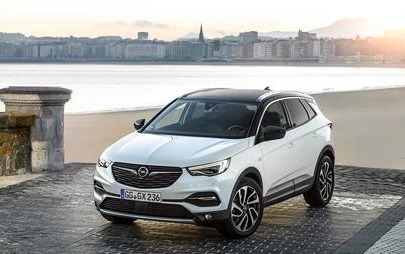 The All-New Grandland X complements Opel’s recognisable dynamic visual cues with fresh design details around the headlights, in the accentuated roofline, and the dipping rear panel. The energetic design concept is applied to the interior too with fluid edges and surfacing made from high-quality material. The Grandland X is a no-nonsense model and all features in it are developed with functionality and convenience in mind, giving the driver a complete hold on the road aided by innovative technology and intelligent systems. The cabin space is cleverly laid out to comfortably sit five adults even for long journeys. The generous boot volume, easy-loading flat door, and multiple seat-arrangement options make the Grandland X perfect for busy, on-the-go lifestyles with constantly changing carriage needs. The All-New model received the maximum five-star Euro NCAP rating with excellent results in all four areas of testing: adult occupancy, child occupancy, pedestrian, and safety assist. With an already outstanding safety package as basic, the Grandland X offers additional smart features including Automatic Emergency Braking; intelligent AFL LED headlamps that brighten the road without blinding oncoming traffic; and Driver Drowsiness Alert. Known for its precision engineering, Opel produces an extensive range of highly-efficient engines that do not compromise on performance and feel. Starting from Eur24,900, the All-New Grandland X inherits this legacy and is available in a variety of powertrain options. A well-built, handsome SUV, the Grandland X takes a different approach to urban and extra-urban driving. For further information about the All-New Opel Grandland X, kindly visit the Opel showroom in Mdina Road, Qormi – call on 22692122– send email to opelsales@motorsinc.com.mt – log on the Opel Malta Facebook Page.